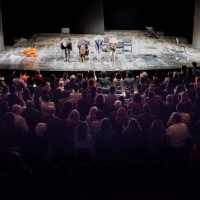 After a most successful run in the 2017 edition of the Vault Festival and an even more applauded remake within the Braşov International Theatre Festival in Romania, Atelier Theatre Studio brings Matei Vişniec’s ‘What Shall We Do with the Cello?’ to the newest fringe theatre in London, The Bunker. 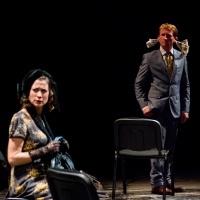 Amusing and dark, this surreal comedy goes straight to the heart of intolerance and stupidity and is staged by Romanian director Vasile Nedelcu with the help of a British-Romanian creative team: actors Nicholas Bendall, Lucy Ramsden and Mike Sengelow, joined by cellist Nick Allen and choreographer Mălina Andrei. The play features the intriguing live music of one of the world’s leading avant-garde composers, Iancu Dumitrescu. 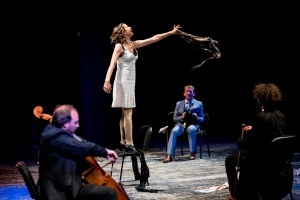 Matei Vişniec is a Paris-based Romanian playwright, whose multi-award winning work has been staged in over thirty countries from Japan to the USA and has been translated into twenty five languages. Vişniec, who lived in London and worked as a BBC journalist in the eighties, is perhaps best known in the UK for the acclaimed Young Vic production of 'The Body of a Woman as a Battlefield in the Bosnian War', a play from which “...you emerge both intellectually informed and emotionally moved”, as concluded by Michael Billington in The Guardian at the time. 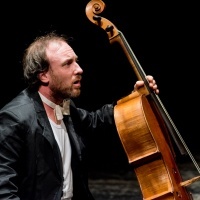 ‘What Shall We Do With The Cello?’ is one of his many great works banned by the Ceauşescu regime in Romania, causing the playwright to seek asylum in Paris in 1987, where he still lives and writes. 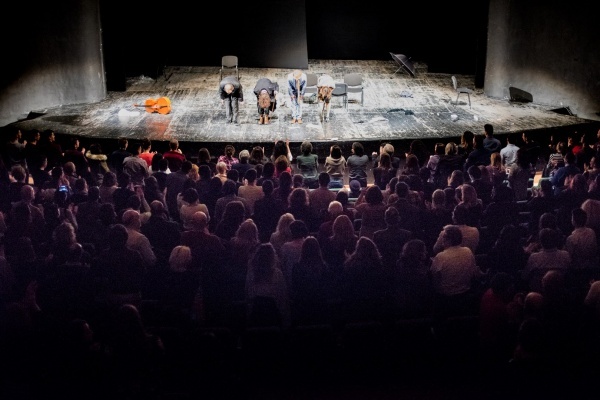 Director Vasile Nedelcu’s early production of this play, in Romania, received wide critical acclaim including high praise from the playwright himself. 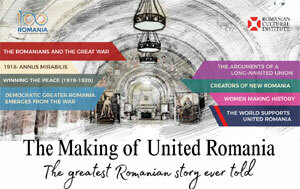 Nedelcu has directed extensively on main stages all over Romania. 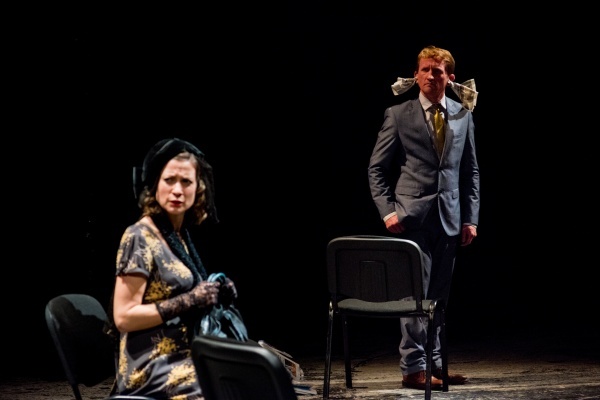 His work in the UK includes Eugene Ionesco’s 'The Chairs' and 'The Lesson' at the Camden Fringe in 2011, and Ibsen’s 'Peer Gynt' at Glasshouse Festival, Stourbridge, in 2005. 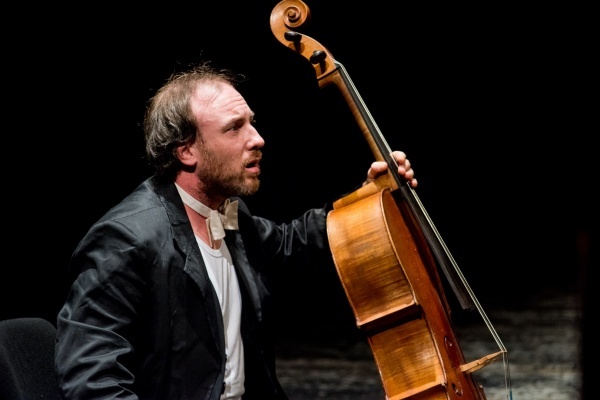 For ‘What Shall We Do with the Cello?’ he was awarded the Best Director Prize at last year’s edition of Braşov International Theatre Festival.